NFL Super-Star and Virginia Beach-native Plaxico Burress celebrates Black History Month by partnering the Plaxico Burress Foundation with the Banneker Franklin Foundation to launch the “Time for Greatness” campaign at his alma mater Green Run High School. On Thursday, February 23, 2012 Burress will gift a commemorative Banneker clock to springboard a campaign that bring awareness and support to the nation’s high school drop-out rate crisis. Virginia Beach, VA February 16, 2012: Virginia’s own Plaxico Burress will return to his hometown, Virginia Beach, to celebrate Black History Month by honoring his own Green Run High School. Burress will gift a commemorative Banneker clock to Green Run High School and participating Historically Black Colleges & Universities of Virginia and North Carolina’s Elizabeth City State University. 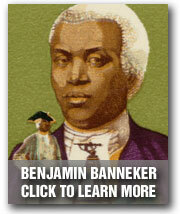 The symbolic gifting efforts are to grow awareness of the 18th-century African American inventor, mathematician, astronomer who is credited with making the first fully assembled clock in America, Benjamin Banneker and Founding Father Benjamin Franklin credited for supporting and endorsing the abolitionist movement. The “Time for Greatness” campaign will announce Burress’ intent to motivate Green Run High School’s 2013 graduating class by funding programs for at-risk students; offering the incentive and gift of Banneker Franklin graduation jewelry; and providing scholarships. To keep the momentum going, Burress will also issue a challenge to his celebrity friends to follow suit. The Plaxico Burress Foundation and Banneker Franklin Foundation have the mutual mission of bringing awareness to the nation’s alarming high school drop-out rate and offer support via partnerships with celebrities and corporations. Via the Banneker Franklin Foundation, every celebrity is challenged to adopt his own alma mater high school by gifting graduation Banneker Franklin class jewelry; providing scholarships; and offering support vehicles to teens that are the most at risk. The “celebrity” in turn challenges a peer and thus a snowball effect of support, incentive and encouragement is bestowed upon the nation’s youth. INVITED GUESTS INCLUDE: Brandon Jacobs (New York Giants 2008 & 2012 Super Bowl Champion); Percy Harven (Minnesota Vikings); Michael Vick (Philadelphia Eagles); Pro Bowl Hall of Fame Bruce Smith; NBA legend and businessman “Magic” Johnson; and the first African American NFL coach to win the Super Bowl, Tony Dungy. Welcome to BannekerFranklin.org We hope you will take a few moments and explore our site to find out a bit more about the mission and goals of the Banneker Franklin Foundation. 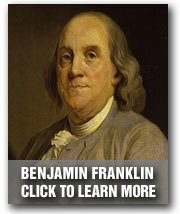 © 2012 Banneker Franklin Foundation – website design: by Inflatable 3.